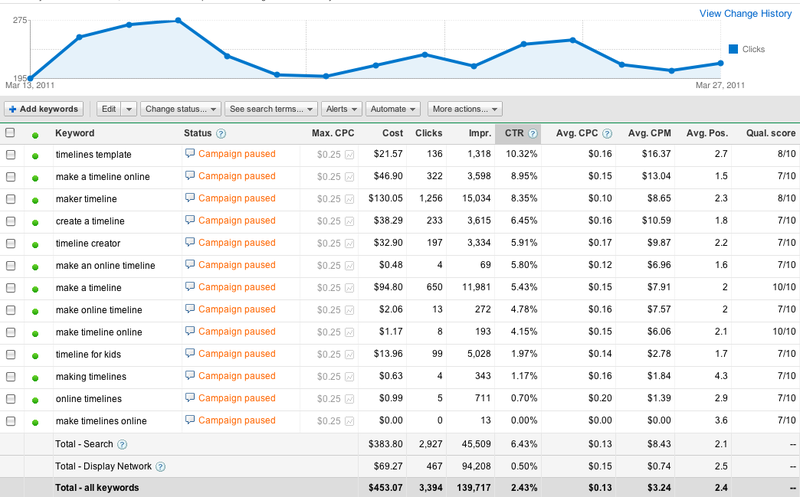 In December I announced a $4K/month challenge, where I try to reach $4K/month in profit from my web apps by the end of 2011. In this post I’ll give an overview of what happened in February. Click here to see January’s report. 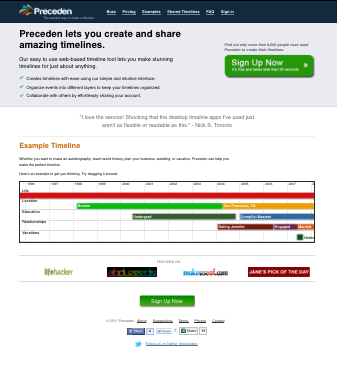 2) 10,578 people visited Preceden. 529 people signed up for an account. 20 people upgraded to a paid account. Revenue: $580. Total time spent working on Preceden: 0 hours. 3) 5,303 people visited jMockups. 302 people signed up for an account. None upgraded. Revenue: $19. In terms of progress, February was a huge month for jMockups. For a good chunk of December, January, and early February, I was busily building and preparing for the launch of the Website to Mockup converter. The official launch was on Saturday, 19 Feb while I was in NYC with Chris Conley and Mike Nicholaides. All in all, it went fairly smoothly, though there were some issues rooted in the slowness of the jMockups editor. The week following the launch I reengineered the editor to eliminate the performance issues. Today was another huge update: the launch of the redesigned mockup editor. In a nutshell, compared to a month ago jMockups has a sexier design, an improved user interface, vastly improved performance, and one major new feature: the Website to Mockup converter. 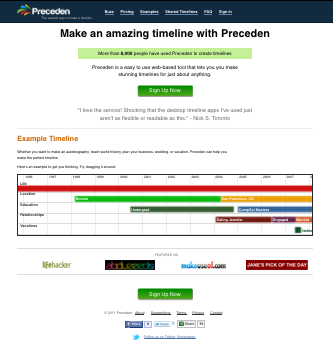 Meanwhile, Preceden had its best month yet. 20 paid signups resulting in almost $600 in revenue. Long term I believe that jMockups has much more potential than Preceden, yet it’s a little unnerving that the thing I’m spending so much time on is hardly making any money and the thing I’ve ignored for the last seven months is growing and bringing in decent revenue. Rather than spend 100% of my time on jMockups and none on Preceden, I’m going to aim for a 85/15 ratio in the future. 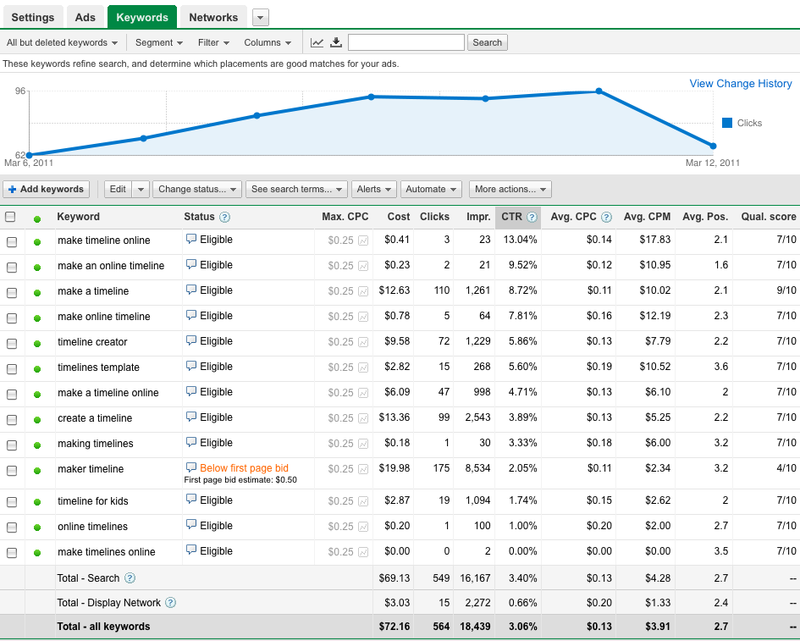 I keep saying it, but a few A/B tests, SEO, and target AdWords campaigns could have a huge affect on Preceden’s revenue so it’s time to start doing something about it. Finally, I’ve been doing life tracking for 2+ months now and have had some great results from it. Tracking + slow, incremental improvements go a long, long way. Check out my post on Sebastian’s blog for more details. One last thing: I really enjoy talking with folks about their startups and poker bot work, so if there’s anything I can help you with or you just want to say hey, please shoot me an email.